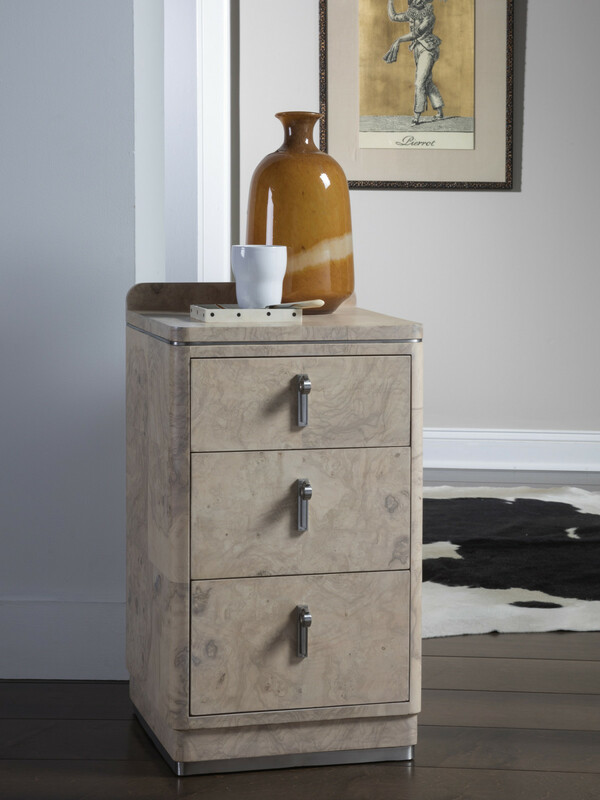 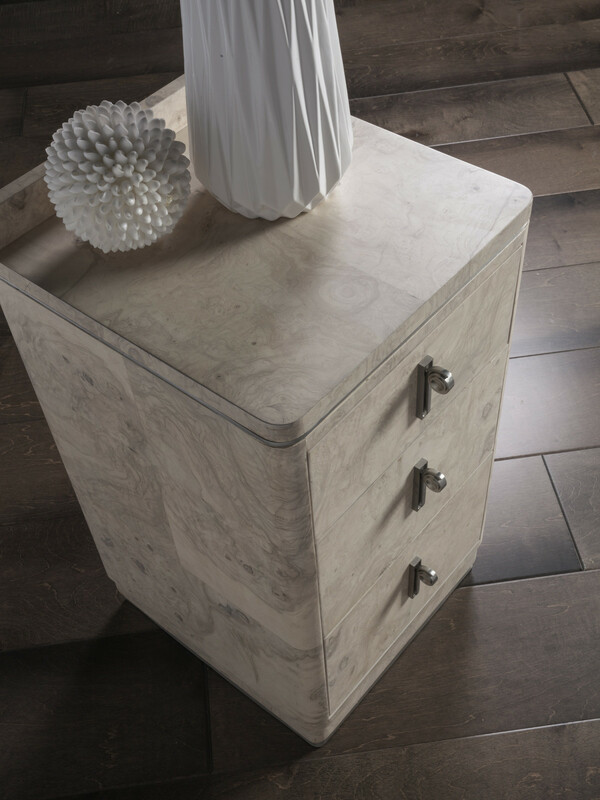 Transitional designs crafted from mahogany solids and bleached olive ash burl veneers. 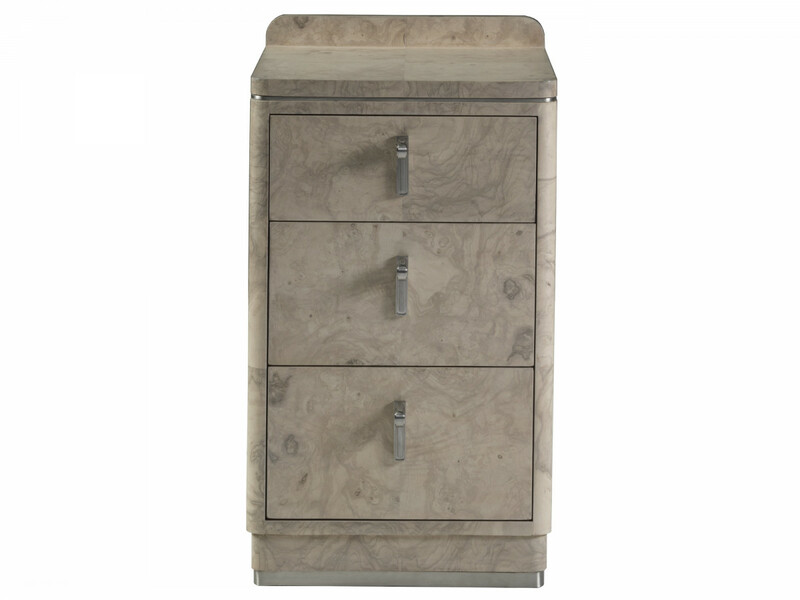 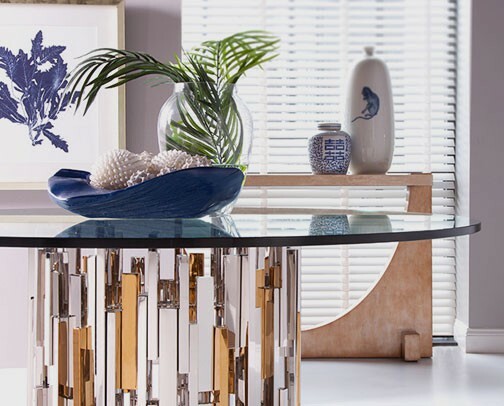 Features include a veneered back gallery, three full-extension soft-closing drawers, decorative brushed nickel finished hardware, and a plinth base veneered in brushed stainless steel. 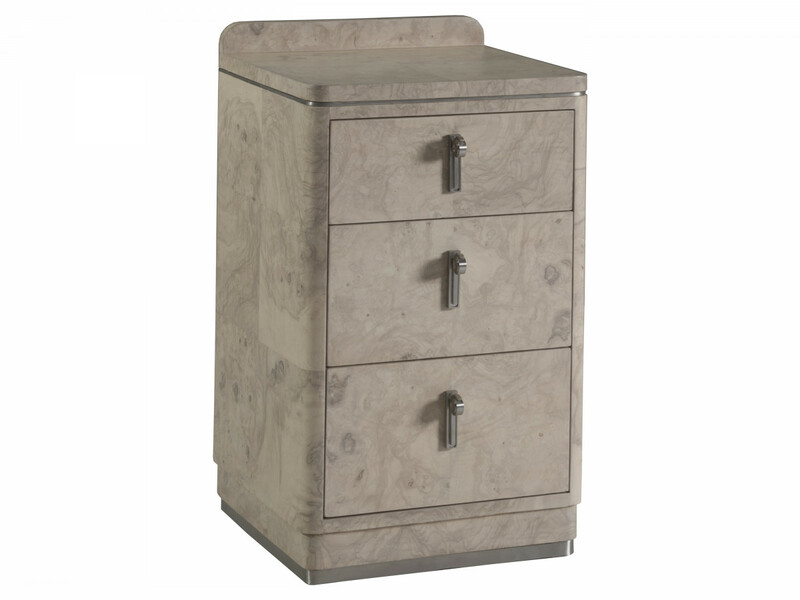 Dimensions: 16W x 16D x 28.75H in.